By April 1945, the military forces of Nazi Germany were in full retreat. The surrender of the German forces was formally accepted on 8 May. This was designated ‘Victory in Europe’ or ‘VE Day’. Thank goodness we had the wireless to cheer us on Wednesday recording the joyousness in England. Here it was more like a solemn funeral than a great victory achieved. During the war, shortages of many supplies such as food and petrol had been controlled by rationing. This limited the amount of something that any one person could obtain. But rationing did not end with the war. For example, meat rationing continued in Australia until 1948. What Australians called 'VP Day' (victory in the Pacific) was called 'VJ Day' by the Americans (victory over Japan). Japanese soldiers and civilians were preparing for a last-ditch defence of their mainland. America dropped two newly developed atomic bombs on the cities of Hiroshima and Nagasaki on 6 and 9 August 1945, with colossal destruction and loss of life. The use of these weapons brought the end of the war in the Pacific. The Emperor of Japan announced his country's surrender on 15 August. 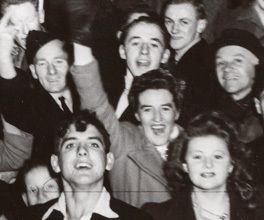 In Australia, Thursday 16 August was celebrated as ‘Victory in the Pacific’ or ‘VP Day’. Authorities were concerned that celebrations not get out of hand, and pubs were closed on the holiday, as they had been on VE Day. However, joy still managed to break out. Crowds gathered in the streets, and strangers danced together. Melbourne’s Chinese community called it ‘VC Day’ for ‘Victory in China’ and set off fireworks. Australian sailors joined in helping them parade a ceremonial dragon. The government had already begun to plan for the rebuilding of the country and the economy. Business and industry had been forced to concentrate on what was needed for the war effort. Now they could return to making the things people wanted and needed in peacetime. Thousands of men would be returning to Australia, needing new jobs and re-training. The war had also made many wives into widows, and the government had to help them financially. There was a critical shortage of housing. Before the war, the 1930s had been a period of economic depression and few houses were built. Housing construction had almost ceased during the five war years. Bricks were almost impossible to obtain because of the wartime labour shortage. Families had to share houses, and returning servicemen often had to move in with relatives. The government believed that Australia’s population (around 7 million at the start of the war) was too small to be able to defend the country in the event of another war. Australians were encouraged to start families and immigration quotas were increased. Before the war, Australian governments had favoured migration from Britain, but now they could not be so selective. They looked to Europe for new citizens, including many who had been displaced by the war and were living in camps, and a great wave of post-war migration began. Australia was a destination for European Jews escaping from the terror of the Nazi genocide.